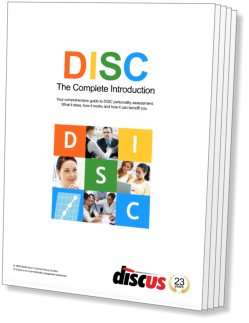 This chapter provides you with background information about the DISC profiling system. As well as describing the theoretical model on which it is based, you will also find information on the history and development of the system. While it provides useful background, none of this information is essential when using a DISC-based profiling system. If you are a first-time DISC user, or are interested purely in the practical applications of DISC, you might wish to skip to Chapter III (The Four Factors) and return to this chapter later. Before discussing the workings and uses of a behavioural assessment system, it is useful to define what we mean by 'behaviour'. This section describes the concept as it is used within the DISC system. In its modern form, DISC dates back to the 1920's. Aspects of the system date back far further than this, however, to ancient Greek times and perhaps further. This section traces the development of the profiling system from its earliest beginnings. The DISC system rests on two fundamental 'axes' of a person's behaviour, Assertiveness/Receptiveness and Openness/Control. This section covers the basic ideas behind these two axes. In this section, we explore the first of the two axes, Assertiveness/Receptiveness, and look at the meanings of these modes of behaviour. The second axis, Openness/Control, is explored in this section. Once the two axes have been defined, they can be developed into the more sophisticated DISC profiling technique. This chapter looks at the way in which the two axes are analysed to produce the four DISC factors. The theoretical basis of the DISC system makes it possible to use different techniques to assess individual behavioural styles. This section looks at the two most common approaches.